The Straus Institute for Dispute Resolution at the Pepperdine University School of Law will present the recurring workshop, “Women’s Negotiation Academy: Creating Skilled and Sophisticated Negotiators,” at the West Los Angeles Graduate Campus on Thursday, December 1, and Friday, December 2, from 8:30 AM to 5 PM. This two-day interactive seminar is specifically designed to educate women working in the legal field about the required tools and techniques to help them increase their impact as negotiators. Participants will also receive individual coaching from leaders in the Los Angeles legal and mediation communities. Day one, “Negotiating for Self,” will explore current negotiation theory through the lens of gender, with an emphasis on fostering one’s own gender intelligence. The curriculum will examine the psychology and cognitive biases that tend to emerge in “gendered negotiations,” and will provide techniques to help women stay on course. Day Two, “Negotiating for Others,” is intended to help participants practice the skills employed by the most effective negotiators, with emphasis on negotiating when bias is evident. 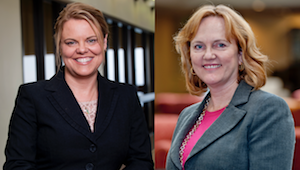 Pepperdine faculty members Stephanie Blondell and Denise R. Madigan will lead the discussions. Blondell is an assistant law professor and assistant director of the Straus Institute. Prior to joining Pepperdine, she served as manager of the King County Alternative Dispute Resolution Program and Inter-Local Conflict Resolution Group, a tri-county labor-management and public policy mediation program in Seattle, Washington. Blondell also worked as the alternative dispute resolution coordinator for the City of Seattle, where she designed and implemented a labor and employment mediation program for city government. Madigan has been mediating for over 20 years. She entered the field as associate director for the Harvard-MIT Public Disputes Program in the early 1980s, mediating large-scale public policy disputes. Her mediation practice is extraordinarily broad, and includes complex commercial, entertainment, intellectual property, insurance, mass accidents, public policy, and health care cases. In addition to her fulltime mediation practice, MadiganADR, she has taught negotiation and mediation at the Straus Institute since the 1990s. Madigan has also designed and/or taught hundreds of customized negotiation and ADR courses for courts, law firms, government agencies, universities, nonprofits, and corporations in the United States, Asia, Latin America, and the Middle East. Participation in the workshops is approved for 14 hours of Minimum Continuing Legal Education (MCLE) credit by the State Bar of California. Ticket prices range between $995 and $1,195, and registration is required to attend. For additional information, and to purchase tickets, visit the School of Law page on the Eventbrite website.